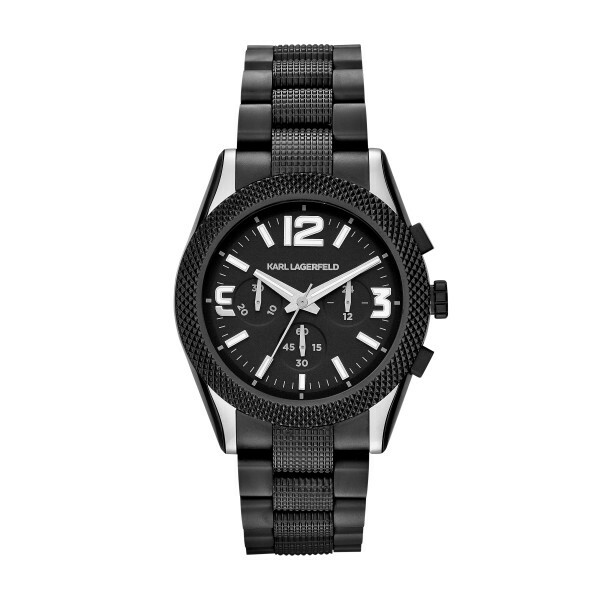 The AW14 Watch Collection By Karl Lagerfeld. 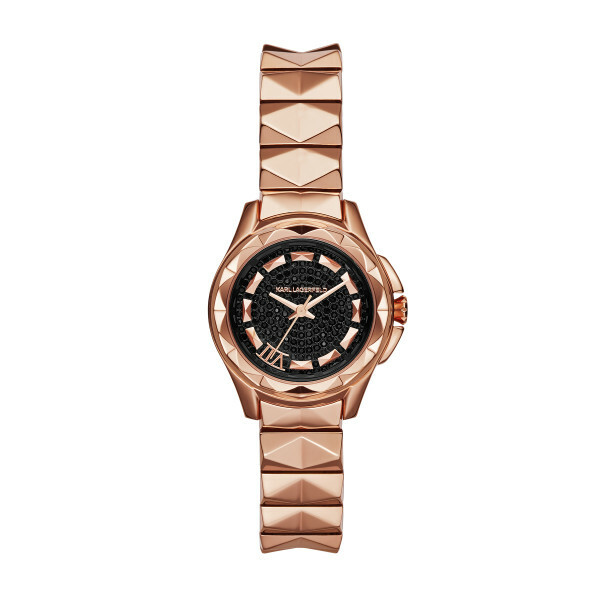 Between crystal, leather, and stainless steel in pink, black and gold, Karl Lagerfeld didn’t impose any limits when choosing the materials and colors for this new watch collection. For men, the new fall line includes the Kurator (above), a watch worn on a matte black stainless steel bracelet with guilloché links for a distinctive look. For women, meanwhile, the Karl 7 has taken on an exotic aspect this season through a snakeskin-style leather strap, all while retaining its urban style thanks to its gunmetal color. Other new editions of the Karl 7 include a version with a lizard-style leather strap and a dial inlaid with smoky topaz crystals and a version with a rose gold-colored stainless steel bracelet and a dial paved with black crystals. There is also the Marais, a sophisticated little jewel of a watch with a curb chain bracelet and rectangular dial adorned simply with a discreet profile of the designer. 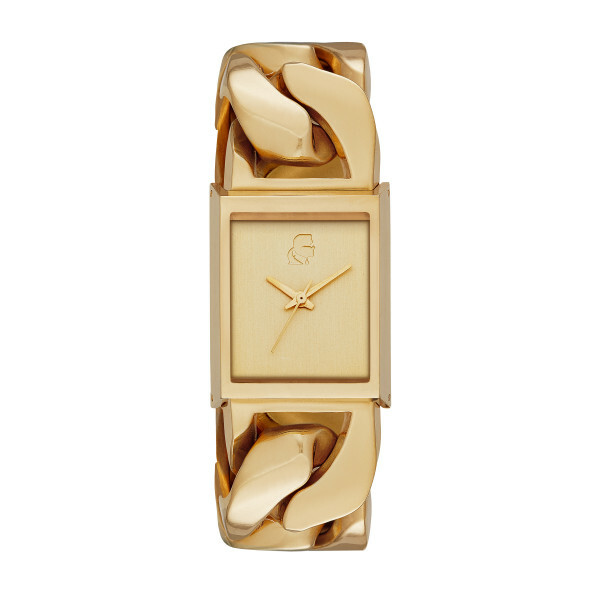 The luxury watch is available in gold or gunmetal. 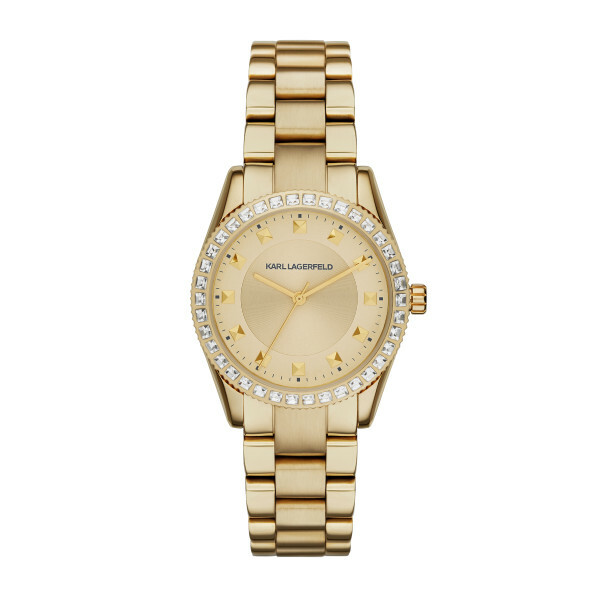 A brand new model for the fall, the Petite Stud watch stands out for being both modern and timeless at once. Studs have replaced the indices, and the bezel is lined with crystals and pyramid-shaped studs. The watch is made of stainless steel and is available in gold or rose gold and black, depending on the preferred level of bling. 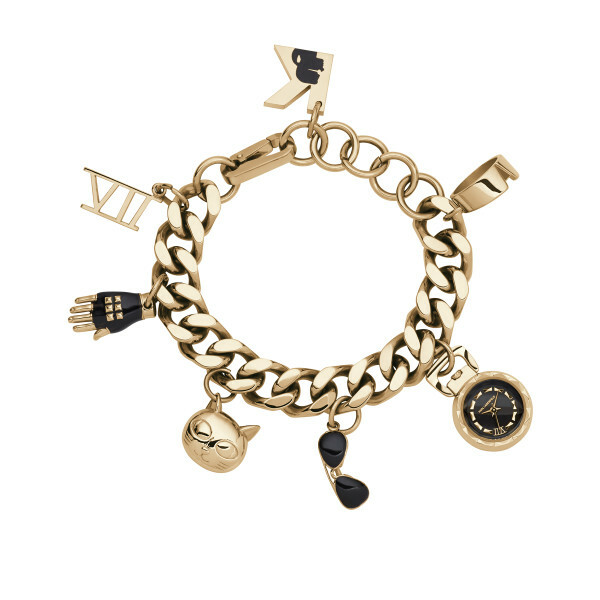 The most buzzworthy item in the new line is the Karl 7 Charm Bracelet. The gold-colored bracelet comes with seven charms, each representing a symbol of the designer’s world, including of course a cat and a fingerless glove.